CCRNs who have successfully passed the test report that self-testing with sets of practice questions such as these is an excellent strategy for success. Don't take chances with your certification-let Barron's CCRNA ® Exam help you achieve the next level of professional achievement. 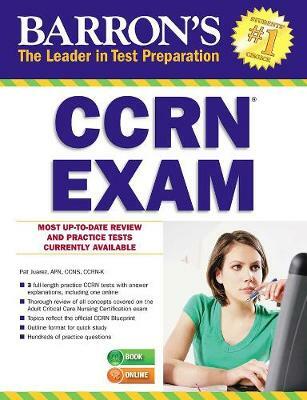 BONUS ONLINE PRACTICE TEST: Students who purchase this book will also get FREE access to one additional full-length online CCRN exam with all questions answered and explained.